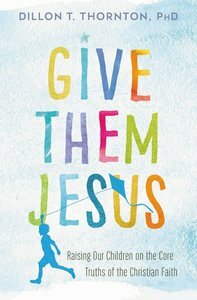 GIVE THEM JESUS aims to help parents not simply add to their children's stockpile of knowledge, but to cultivate children-disciples who are able to display Christ-likeness in every situation. Parents are the ones primarily responsible for opening up the Scriptures to help their children understand God, the world, and themselves. The family is the divinely appointed discipleship program; the home is first and foremost a place of worship. The introduction of the book discusses the four vital components of family worship: teach, treasure, sing, and pray, and offers practical suggestions for beginning and prioritizing family worship in the rough and tumble of life. Subsequent chapters guide parents to a deeper understanding of the core truths of the historic Christian faith, as summarized in the Apostles' Creed, arming them with appropriate language, helpful illustrations, and relevant object lessons, so that in the end they will be better prepared to pass these truths on to their children. Each chapter concludes with a family worship guide, which includes: 1) family memory verses, 2) nuggets of truth from the chapter, 3) questions for family discussion, 4) songs that celebrate the truths of the Creed, and 5) prayer prompts. GIVE THEM JESUS equips parents to prepare their children to leave home and go out into the world as faithful participants in the great gospel story. "Never stop telling the gospel story to your kids," Thornton says. "Give your children Jesus. Again. And again. And again. And you'll see them walk in the truth." About "Give Them Jesus: Raising Our Children on the Core Truths of the Christian Faith"